The Board of County Commissioners will be holding an informal Town Hall Meeting on Wednesday, September 21st at 6:00 p.m. in the Cafeteria of the Grays River Valley Center, located in Johnson Park, 30 Rosburg School Road, Rosburg. The Commissioners meet quarterly at Johnson Park in order to give west-end residents an opportunity to discuss any issues, questions or concerns that they may have. The evening meeting time also provides an alternative for those people that are not able to attend the regular Commissioner meetings which occur on the first four Tuesdays of the month at 9:30 a.m. Please join us; the meeting is open to the public and public comments are encouraged. Local Grangers held a performance at the Skamokawa Grange on Friday, September 2nd, as a fundraiser for repairs. 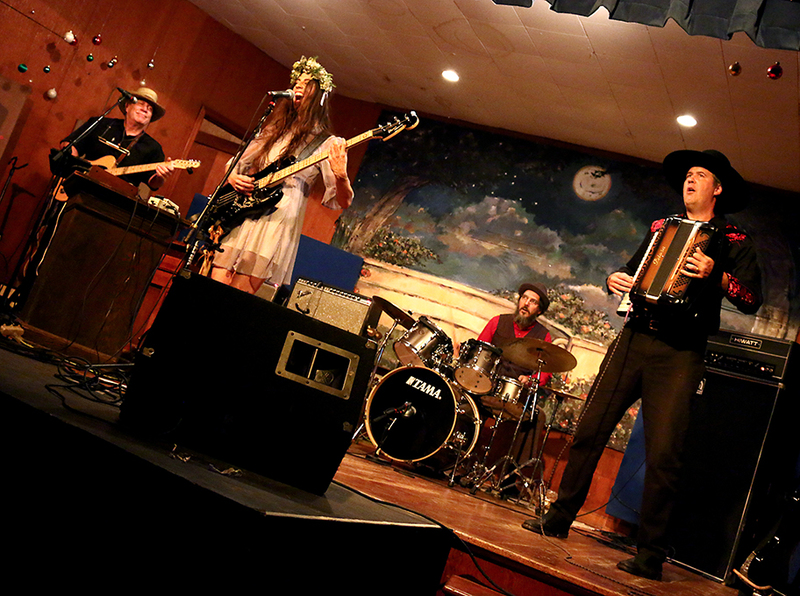 Featured alongside several local acts was Giants in the Trees, which includes GRG Grange Master Krist Novoselic , Skamokawa Master Ray Prestegard, Skamokawa Secretary Jillian Raye and Brother Erik Friend. Here’s a series of photos of that performance, shot by GRG Gatekeeper Sol Mertz.